WASHINGTON, D.C. (LOG NEWS SERVICE) — A navigation light that is not — in other words, what the Coast Guard calls an inappropriate navigation light — is being marketed nationally, according to a newly issued alert. In Marine Safety Alert 04-13, the Coast Guard warned boaters that the Seachoice Products LED Classic Navigation Light SCP #03201 should not be used on any vessel in an effort to meet the navigation rules. Although advertised as a “masthead” or “navigation light,” the Seachoice product SCP 03201 with an arc of 180 degrees visibility is not applicable to any lighting requirement, the Coast Guard stated. Masthead lighting requires an arc of 225 degrees visibility and stern lighting requires an arc of 135 degrees visibility, for a total range of 360 degrees. Depending on type or size of vessel there are also range of visibility requirements. 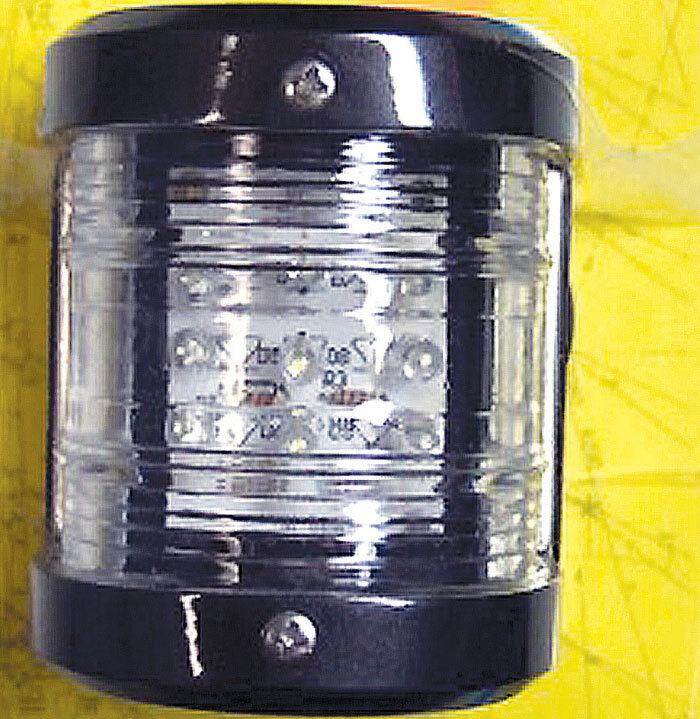 The Coast Guard “strongly recommends” that owners or operators of any vessel — commercial or recreational — who have installed this particular Seachoice product (#03201 only) as a masthead, stern or other type of navigation light remove it and replace it with a proper light that meets the requirements for the vessel and application. Recreational boaters who have questions should contact the Coast Guard Auxiliary. Commercial vessel owner/operators who have questions should contact the Coast Guard Sector or Marine Safety Unit, the Coast Guard stated. The alert (04-13) is posted on the Coast Guard website: marineinvestigations.us.